"Thank you very much. The site looks very good and my expectations have been satisfied." 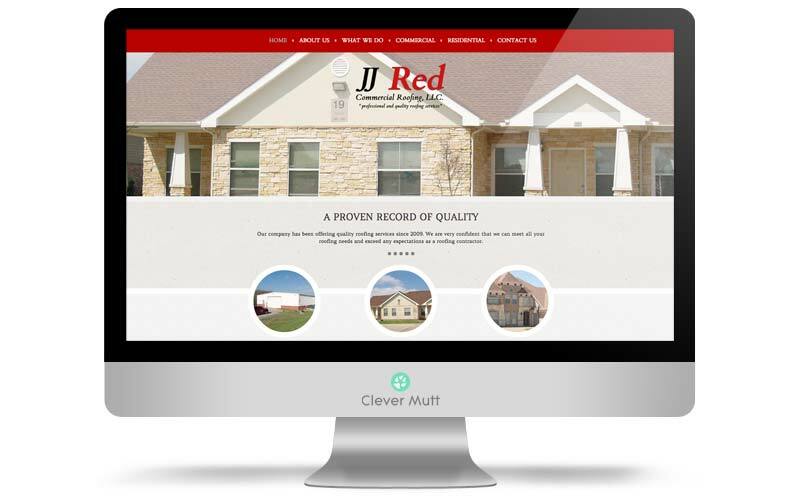 Clever Mutt were hired by JJ Red Commercial Roofing, LLC to provide a brand new and mobile responsive website that brought their photos front and center while providing information about their full range of roofing services. The new responsive website is powered by the Clever Mutt Portal custom web content management system for self-management. 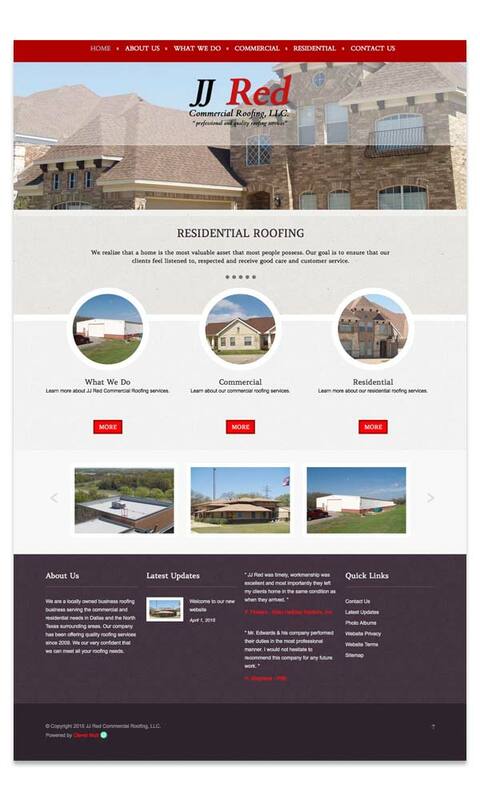 JJ Red Commercial Roofing, LLC are a locally owned roofing business serving the commercial and residential needs in Dallas and the North Texas surrounding areas. 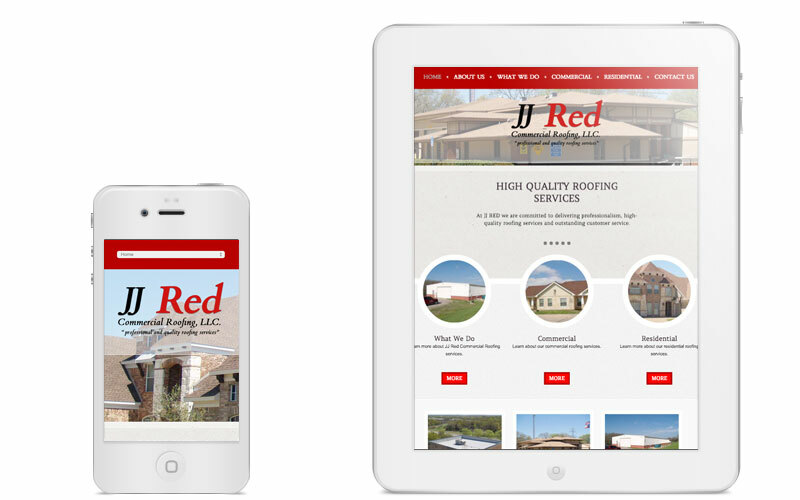 JJ Red Commercial Roofing, LLC has been offering quality roofing services since 2009.